12x12x19 inches. One day I was pruning the lilacs in the back yard and noticed that the cut ends of the lilac had strong purple stripes. 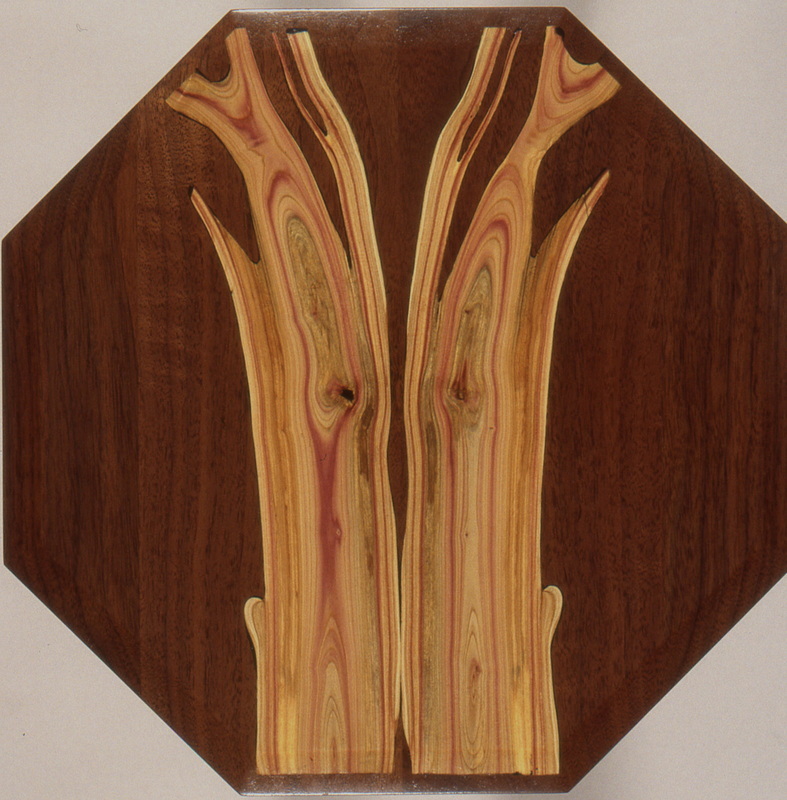 I began to experiment with the wood to see if it could be practical in use. It is and it now shows up in many of my pieces. 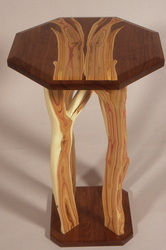 The top is inlaid with book matched slices of lilac and the legs are made of the same wood. Available.